Large 8 Socket SMP with Optional Tesla GPUs. Up to 224 cores! Large shared-memory SMPs are the dream of many HPC programmers and the ideal platform for memory-hungry enterprise applications. For the ultimate in parallelism and throughput, our NumberSmasher 8 Socket SMP supports up to 8 Xeon Scalable Platinum Processors and up to 8 optional Tesla GPUs. Avoid the complexities of programming in multi-node distributed parallel MPI. Instead store your entire dataset in memory and write simpler code for a single-system. 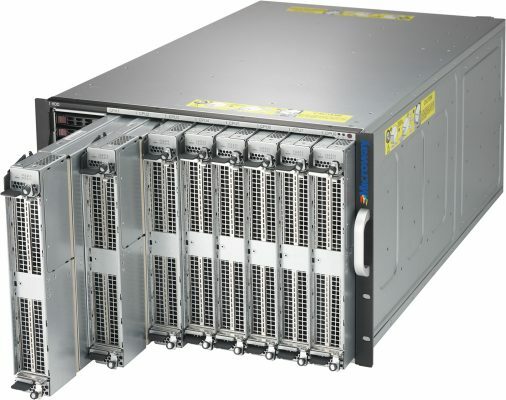 Customers may also use NubmerSmasher 8 CPU SMP in lieu of a cluster—eliminating the complex administrative burdens of deploying small clusters. This can be of huge impact to smaller HPC groups without dedicated admins or trying to maximize time for science. This SMP just looks and feels like a big server! NVIDIA CUDA SDK installed and configured when configured with GPUs- Ready to run CUDA jobs!